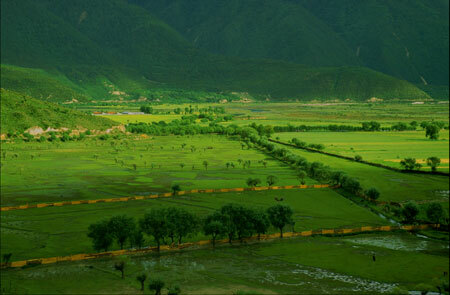 With a very different environment and climate than other parts of Tibet region, eastern Tibet is moist, with large areas of deep woods, including some of the largest virgin forests in China. There are rich species of plants and animals. With a depth of 5,380 meters, 496 kilometers in length, the world's deepest canyon belongs to eastern Tibet in China.